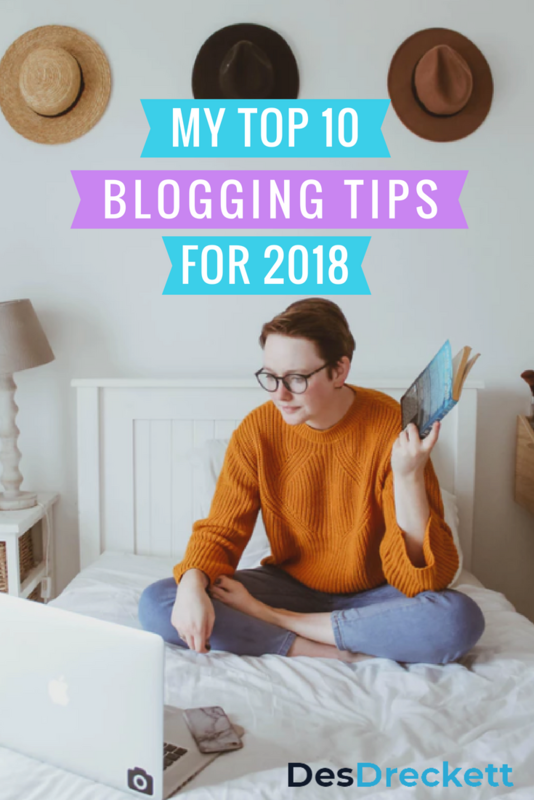 I know what you’re thinking: “Oh great, another top 10 blogging tips article”, I completely understand your way of thinking – to be honest, I would think the same. The only thing I would say is, these tips I’m giving you aren’t just re-hashed copies from another website. These are actually real-world examples of how I’m helping build my clients’ blogs and websites and also my own. The strategies you’re about to learn have been tested and are proven to work. The only question is: Will you take action on them? I constantly get questions in my inbox on Twitter, asking “How do I do this?”, “How do I do that?” I provide them with comprehensive answers and then check back in a few months time only to see that they have done nothing. As my time is so limited, I have written this blog post so I can point people to it who ask me the exact same questions time and time again. If you are one those people I have directed to this blog post, I’m not asking you to use all of the strategies I’m outlining, however, I do encourage you to at least try some of them, otherwise, you’re just reading for reading’s sake. When I first started in business I used to think it was a good idea to be all things to all people and quickly realised this was a mistake that most of us make. Back in the days when we only had four channels to watch on TV, it was simply a case of who shouts the loudest – whoever did, got out our attention and also our hard-earned dollars. These days, with so much choice and multiple channels of entertainment, we now watch what we want, when we want to watch it. The exact same habits we have with television are also the same throughout the rest of our lives including the things we consume for education and entertainment. No longer do we need to be forced to watch something we don’t want to – we now have options! For this reason, there’s never been more a more important time to really niche down on your topic. What do I mean by ‘niche down’? 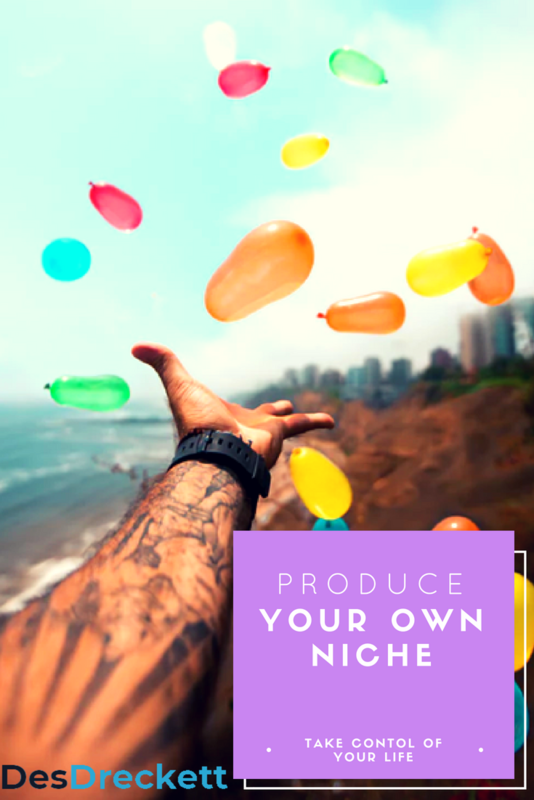 Whatever niche you are thinking of going into, always try and find a sub-niche to that, check the competition by doing a quick Google search and, if there isn’t a lot of competition, look to dominate that niche by pumping out as many articles, videos, images and infographics on this topic. You want to be known as the go-to person and go-to-brand for this niche. This leads on nicely to the next strategy of becoming their trusted advisor. To really do well with blogging in 2018 not only do you need to completely dominate your niche, you also need to become your readers trusted advisor. Whenever your reader is stuck and doesn’t know the answer to a question, their first port of call should either be your YouTube videos, or your blog posts. In fact, if you embed your video on one of your blog posts, this is even better! Becoming their main trusted advisor means they see you as an authority on the subject and will generally listen to everything you have to say or products you recommend. As you can imagine, this is a pretty powerful situation to be in because it means you don’t need to ‘hard-sell your reader since the trust and faith levels extremely high in the first place. So, how do you become their trusted advisor? Just so that we are clear, this is a really difficult task because it means pumping out more content than anyone in your niche. Your content needs to be seen everywhere – on all social media platforms, dominate the main keywords in Google Search and dominate the key spots on YouTube. It helps if you have a weekly podcast where you’re not selling, but teaching and advising. With the amount of content you have to put out, it makes this task extremely difficult and, to be honest, very few people can pull this off effectively. You also need to sustain this level of content marketing and be consistent – that’s probably the hardest part. In effect, it’s quite easy to climb the mountain to the top, but it’s really hard to stay there since your competition won’t be standing still either. The video above of Jay Abraham is one that you want to pay close attention to. I’ll be honest, you probably won’t get it the first time you watch it and I encourage you to keep watching it until you do because the strategy of preeminence is the key to your blogging success. Getting to know your audience makes it possible for you to craft the exact same content they want to read. This concept sounds simple, doesn’t it? However, very few people do this and simply just write content that they are interested in without taking their reader into account. By doing this, they completely alienate the reader and what generally happens is that their reader simply finds somewhere else to get their content from. This is a massive problem because the cost of getting a brand-new reader is extremely expensive. It either means writing lots of long-form content that’s highly optimised and has the relevant backlinks for SEO or you use paid media such as AdWords or Facebook ads to try and get people into your funnel so they eventually start consuming your content. No matter which option you choose, they are either expensive in time or expensive in money. That’s why it’s so important to get to know your audience so you can craft the content they want to read and will hopefully share with their family friends and peers. Depending on what social media platform you use, it’s a really good idea to poll your audience and constantly ask questions about the type of content they want – this is easily done on platforms like Twitter and Instagram which have specific poll functions. If you’ve been building up your email lists, this is another great way of asking your readers what sort of content they are interested in and what questions they have on certain topics. Using question and answer sites such as Quora is a great way to find out the type of content people have problems with and need answers to. Not only do you have the ability to answer the question on Quora. If you have an article, podcast, or video on YouTube that answers that question, you have the ability to link to that piece of content within your answer. This is great for driving organic traffic back to your webpage, it positions you as an authority in your niche but, more importantly, it gives you plenty of ideas for future content, products or services you can offer. Building a rapport with your readers is really important if you want them to keep consuming your content. There are a few great ways you can do this and some of them I have mentioned previously. The importance of growing your email list cannot be understated. The chances of someone coming across your website and then returning a few days later, believe it or not, is extremely unlikely. Since there are so many distractions and so much competition for the exact same content, people simply don’t remember the URL (website link) for the name of your website, even within seconds of visiting it. That’s why it’s important to build your email list from day one. An email list allows you to keep in touch with your subscribers and to send them emails at the press of a button whenever you have a new piece of content or you want to make an announcement. It’s also a great way of getting them to know who you are and what you are about. Instead of being stiff and robot-like, you have the ability to show your true personality by keeping things lighthearted. Whichever social media platform you are on, don’t just post content and leave it at that – try to inject your personality into your posts and actually have a point of view. Not only are your readers and followers looking for guidance, entertainment and education – they are also looking to spend their quality time with people who share a common point of view and perspective on things. Therefore, I would advise you to use social media to do this on a daily basis. You don’t even need to write a lot, just take a stance or give your perspective on something new that has happened in your niche. That’s why setting up a podcast is really important today. Not only are you educating and entertaining your readers and listeners, you’re also showing them your personality and building rapport on as many platforms as possible. This topic is particularly relevant at the moment with Millennials and Gen Z as they don’t read as much as older generations and prefer to consume their content either via video or audio. Having a nice mix of the two might be something you want to do for your blog since your competition will certainly be doing this. This isn’t a personal perspective, this is a fact. It’s a fact that the next generation simply doesn’t read as much anymore and, even if they do come across a blog post, they are unlikely to stick around very long to read it because they’re distracted as I’ve already mentioned. The header above says ‘titles’ but what I really mean is headlines. The term ‘title’ doesn’t really mean a great deal but when you change it to ‘headline’, it kind of alludes to grabbing somebody’s attention to get them to consume your content. One of the most important pieces of text you can insert into your blog post is the headline title. Not only does this grab the reader’s attention, oftentimes it stirs the curiosity in them and encourages them to want to read more to find out what your title is suggesting. It might seem like a strange request to work hard on your titles but you really should spend at least 15 to 30 minutes crafting a great title. I wrote an article: 18 Fantastic SEO Tools & Links To Help You Write Amazing Headlines that you might find helpful? The differences between a good and a bad one are huge, meaning either a few people versus thousands of people reading your article. To help you, I’ve produced a free resource on crafting the perfect headline. You’re free to download my 101 blog headline templates. This is a quick-fire PDF sheet that shows you the different combinations of headlines that work really well, no matter what the context. Working harder on your intros specifically means completing the hard work you did with the title and then persuading them to read further into your article by way of a good intro. So, what makes a good intro? Can you see the differences between the two intros? One of them sounds like any other article you would read out there and, to be fair, most articles start off something like this, whereas, the second intro injects a bit of your personality and actually addresses the reader directly instead. Yes, this is more conversational and doesn’t work with every blog or with every article you’re going to write, but a variation of this type of intro is recommended to separate you from the rest of the pack. Like I said before, getting people to read your long-form content now is harder than ever and you need to do things a little differently from everyone else to really stand out. A person who does this really well is a chap called Tim Urban on his Wait but Why blog. If you want to see an example of somebody injecting their personality into their writing then there’s no better place. I’m not suggesting that you start writing exactly like Tim or even copy his tone – it really is a case of finding your own true voice that allows you to resonate, build rapport and most importantly, be yourself! Meta descriptions are basically a small piece of text that describes your article. Very similar to your titles and intros they are an extremely part of your content marketing strategy. Don’t get me wrong, the search will write a meta description for you by using machine learning and AI. However, the piece of content they choose for your meta description isn’t normally one that encourages people to read your article when they’re browsing in the search results. I think there are two fundamental things your meta description needs. It needs to contain the main keyword of your article and also needs to encourage people to read more when they are browsing – anything else is just filler, really. Having a good meta description is the difference between someone clicking on the link to read your article or you knowing your link and clicking on someone else’s in the search engine results pages (SERPS). This would be a real shame because I’m guessing you would have worked really hard on the title and then putting a lot of time on the content of the article only to have people ignore it. Even though the likes of podcasting and video marketing are on the increase you still need to balance your content marketing strategy out by writing long-form content. By long form I mean writing content that is 2000+ words. It has been statistically proven that long-form content received the most shares performed better in the search engines and provides the most value of your readers. I appreciate that it’s not always easy to do this but I truly believe that practice makes perfect. If this is something you’re not used to doing then I encourage you to practice my writing small piece of content, say 300 to 400 words and then gradually increase the amount of your writing every week. I guarantee you, if you do this consistently, writing 2000+ words will come a lot easier to you. You’ve just got to put in the work! It doesn’t just stop there though. It’s really important to add quality images to your content as well as using correct formatting procedures like headers, bolding important points within your article and interlinking (what we’re going to talk about next). Combining all these good practices ensures that your blog is of high quality which in turn increases traffic because you are getting SEO love from the search engines which in turn leads to more shares via social media. It’s so important to link to your own articles within other articles. This is called “interlinking.” Though interlinking is not new, it still forms an important part of an SEO strategy for your blog. It’s kind of like giving your own vote of confidence to yourself in the eyes of the search engines. Don’t get me wrong, interlinking only works if you are linking to a relevant piece of content relating to the content somebody is reading. It’s not a good idea to link for link’s sake. In fact, if you continue to link to content that isn’t relevant this can actually hurt you in the long run with regards to SEO. Depending on the sort of website builder you are using you can do this easily with a platform like WordPress by simply highlighting the word you want to use to link to another article and then clicking on the paper clip icon. If you have the very latest free software from WordPress it actually allows you to do a search for content on your website based on that keyword. You may well be using something other than WordPress and if this is the case then other platforms will have a similar function on the dashboard to link to another piece of content. If not, then the code that I’ve highlighted above is the way to link to a piece of content by replacing the URL with the URL link (i.e. 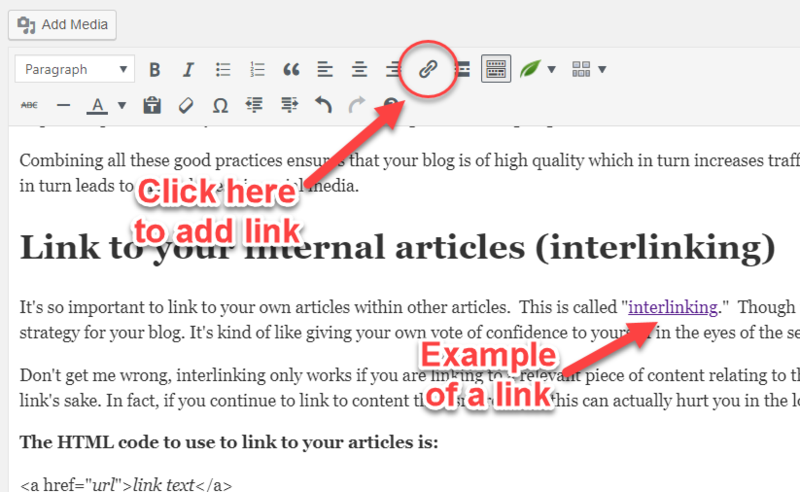 blog post) and replacing the link text with the word you’re going to use to link to that piece of content. Not only are you being helpful by linking to a piece of content that will help your reader better understand what it is you’re trying to say. The search engines absolutely love this and we’ll crawl this webpage again, even if it is quite old and buried within your archives. In fact, it’s a good way to bring old content back to life by linking back to it constantly from other articles that you are writing. Interlinking also helps with the bounce rate of your website. You see, the more you encourage someone to check out different parts of your website that lower your bounce rate will be which means your site as a whole will perform a lot better in the search engines. They use these metrics to determine which web pages to show at the top of the search engine results. There’s really no need to go too overboard with interlinking though. simply link to content that is relevant to the reader at that specific point in time. Oftentimes, I have been writing a piece of content and instead of finding an external link to better explain my point I write an entirely new blog post or page so that I can link to my own content instead of someone else’s. Of course, this is extra work and I can appreciate that a lot of people don’t have the time to do this. However, as I mentioned earlier, the more times you can link back to your own content the better your web pages will perform as each time your reader clicks on another piece of content on your website your bounce rate drops. So, what do I mean by increase interactivity? It means being a bit more conversational in the tone you use in your blog posts and constantly asking questions throughout your copy? These sort of terms come across as you speaking directly to the reader and not just to an audience in general. they also allow you to become a lot more personable and will help you build rapport with the reader. Now, I understand that not everyone has the possibility to do this since it depends on the sort of niece you are in and also your own personality. I truly believe that the vast majority of content written these days needs to be carried out this way as it’s becoming harder and harder to build a rapport with a reader that is constantly being distracted. It’s also really important to put your stamp on a particular topic and have a strong point of view by consistently asking your reader what they think. It’s also a good idea to ask for feedback at the end of your articles. depending on the size of your readership, you may or may not get a lot of comments. Don’t be too discouraged, if you do all of the things that are outlined in this article, you will get increased traffic , increased social media shares and ultimately more comments. When you have the time I would advise you to consistently leave comments on other people’s blog posts that are related to your niche. Not only will they be compelled to return the favour but you will also pick up a lot of targeted traffic from the common that you have left.